It’s hard to imagine how the 2019 WBBL04 final between the Brisbane Heat and the Sydney Sixers to be played at 10.10am at Drummoyne Oval this Saturday is going to top the quality of games we saw in the semi-finals last weekend. However, one thing that has been consistent about the crop of players in the WBBL is that they continue to impress week after week. 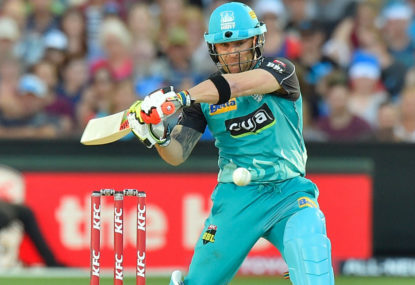 The Heat find themselves in the final after defeating the Sydney Thunder by four runs in the first of Saturday’s games. The game came down to the final ball. With the Thunder needing six runs to win, Nicola Carey launched the ball into the air. The bowler, Jess Jonassen sunk to her knees, convinced that the ball would clear the boundary for six. Then, out of nowhere came Haidee Birkett to take an outstanding catch to win the Heat the game and see the Thunder bow out of this year’s competition after finishing third at the end of the regular season. 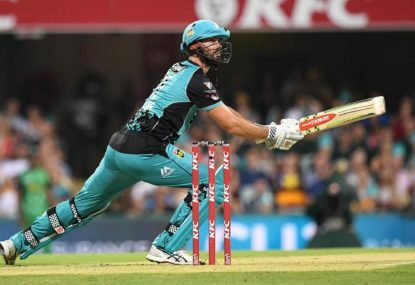 If that game wasn’t close enough, the next game between the Sydney Sixers and the Melbourne Renegades went to a super over after scores were locked at the end of the 20 overs, with each team scoring 131 runs. 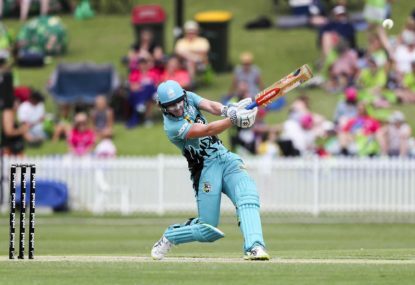 After the Renegades had the opportunity to bat first in the super over, scoring six runs, Ellyse Perry and Alyssa Healy came to the crease for the Sixers. It was Ellyse Perry who hit the winning runs during that super over, progressing them to the final and giving them the opportunity to defend their title and go for their third consecutive WBBL title. The games delighted the crowd at Drummoyne, which was in excess of 3,500. The most positive part about the crowd though was just how many Sydney Sixers fans turned out early to watch the first game and how many Sydney Thunder fans stayed to watch the second game, despite their disappointment in how the first game ended. Onto this weekend, which is set to be a thrilling finale to the best season of WBBL so far. It’s an exciting weekend for cricket in Queensland with the Heat making their first ever WBBL final. 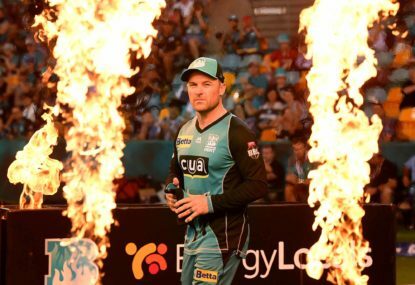 They also have the opportunity to be the first non-NSW team to win the WBBL…but to do that, they will need to be on point with bat and ball to defeat the Sixers. A key part of the Heat’s batting line up this summer has been Grace Harris. She has the highest strike rate in the WBBL of 140.41 and her season-high score is 101 not out. Her partnership with Beth Mooney at the top of the order will be key if the Heat are to get off to a good start in the power play. Grace also showed what an effective bowler she is, bamboozling Stefanie Taylor for the Thunder with the handy off-spin in the semi-final despite not firing with the bat. But a real unsung hero for the Heat this year has been their veteran, Sammy Jo-Johnson, who at the start of the summer asked her coach what she needed to do to find herself batting higher up the order. Sammy-Jo was given an opportunity, coming in to bat at number three and has certainly impressed. She has scored 256 runs this summer with a highest score of 51. Not bad for someone who has also taken 19 wickets with season-best figures of 3-12. 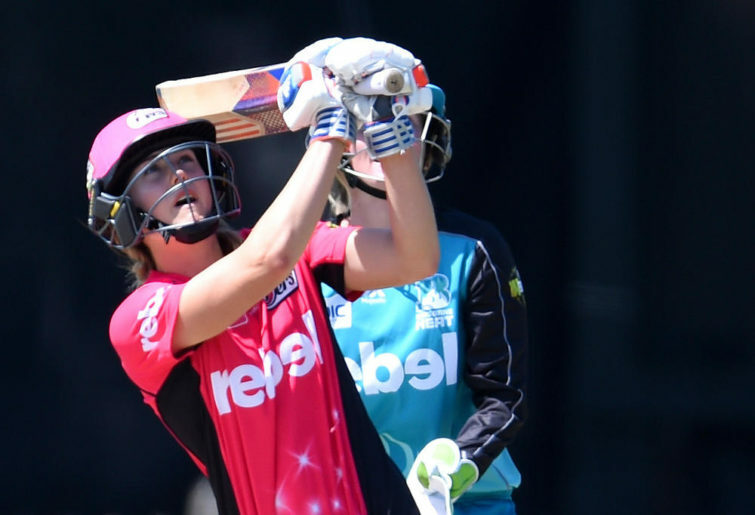 For the Sydney Sixers, no doubt there would have been some disappointment about their previous performance, given that after Ellyse Perry’s 54 not out and Dane van Niekerk’s 51 not out, the next highest score was 7 from Sara McGlashan. 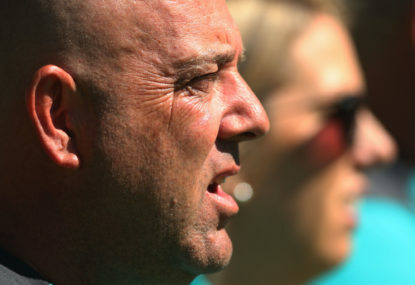 The Sixers have been prone to batting collapses this summer and the likes of Alyssa Healy and Ashleigh Gardner will be looking to score big this weekend. The danger woman for the Heat though of course, is Ellyse Perry. To date, Ellyse has scored 744 runs and she isn’t finished yet. With that amount of runs, she now holds the record for the most runs scored in a WBBL season and she also became the first ever BBL player to surpass 2000 runs. With an average of 93.00 and a strike rate of 123.17, Ellyse is a key wicket for the Heat. Not only that, but Ellyse has also been handy with the ball for the Sixers, taking ten wickets in total. No doubt the Heat will be looking to get Ellyse and Alyssa out cheaply to put themselves in the best possible position to win this game. The Heat should also avoid, at all costs, hitting the ball in the air to Erin Burns. Time and time again, Erin has proven that she has one of the safest pairs of hands in the WBBL and was also responsible for some excellent fielding on the boundary in the semi-final to push the game into a super over. I’m predicting that the Sixers will win this game, but am looking forward to a tight contest between two quality teams. See you all at Drummoyne for the final WBBL game of the summer!